Anna Uhl Chamot, Professor of Curriculum and Pedagogy (ESL and Foreign Language Education) at the George Washington University, conducts research on second and foreign language learning processes and has authored books and articles on language learning strategies. 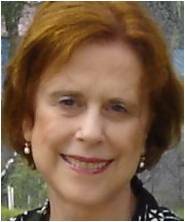 Her most recent book (2009) is The CALLA handbook: Implementing the Cognitive Academic Language Learning Approach, Second Edition, published by Pearson Longman. She holds a Ph.D. in ESL and Applied Linguistics from the University of Texas (Austin), a Masters in Foreign Language Education from Teachers College, Columbia University, and a B. A. in Spanish Literature (Special Honors) from the George Washington University. One of the characteristics of autonomous language learners is their attribution of success to their own effort, including their use of learning strategies. Some of the research on language learning strategies has shown a correlation between the use of learning strategies and students’ self-efficacy and motivation, two additional characteristics of autonomous learners. I suggest that by teaching students how to use effective learning strategies for language tasks, they will increase both their feelings of self-efficacy and motivation to learn, thereby developing their autonomy as language learners. However, in learning strategy instruction, one size does not fit all! Students vary in their metacognitive knowledge about and skill in using learning strategies, just as they vary in their levels of language proficiency. This is why differentiating instruction by both language level and explicitness of learning strategy instruction is important in the development of autonomous language learners. This presentation will focus on a description of a method for planning differentiated instruction attuned to both language level and learning strategy knowledge and use. This workshop explores ways in which the language teacher can help students become more successful and autonomous language learners through differentiated learning strategy instruction. An instructional framework and sequence for teaching learning strategies will be described and specific ideas for differentiating the instruction according to students’ individual learning strategy needs will be suggested. Participants will work in grade-level groups to decide on specific learning strategies to teach and then plan a least two levels of differentiated strategy instruction.